From the Billy Ireland Cartoon Library and Museum. 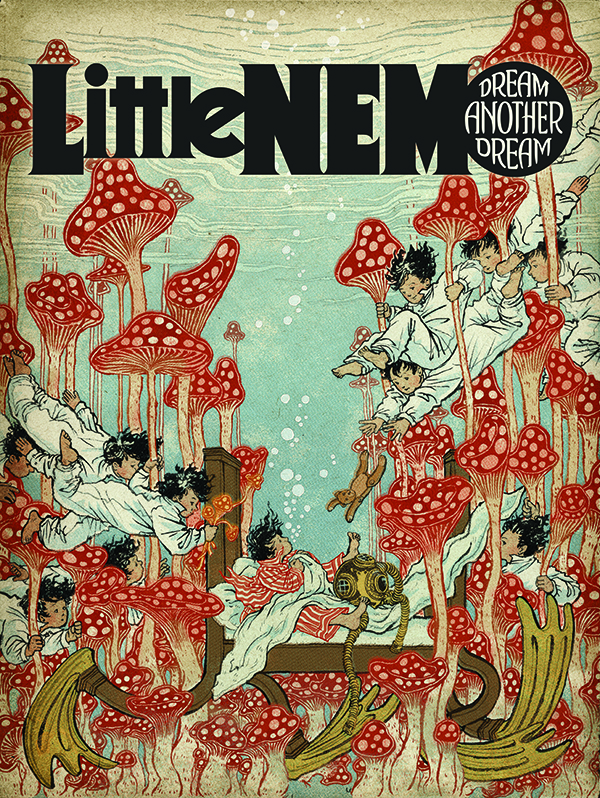 In 2014, Locust Moon published Little Nemo: Dream Another Dream, a huge, full-color anthology featuring work by 100 comic artists and illustrators. 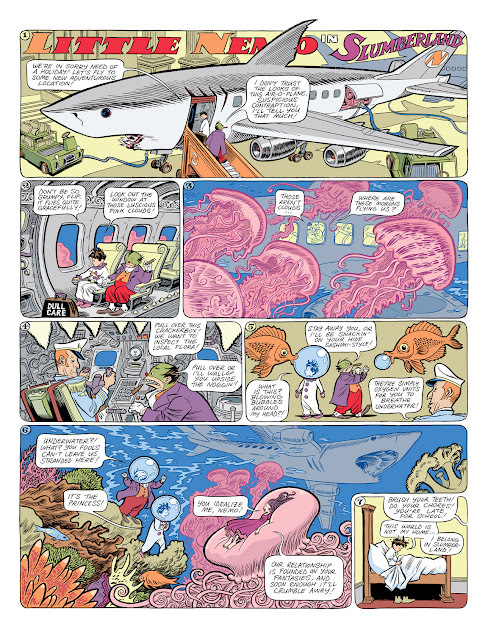 Each of these artists was asked to create a new version of McCay’s famous strip, resulting in a rich and diverse collection of homages to a remarkable man. This exhibit presents original artwork from the book, and featured artists include Peter Bagge, David Mack, Paul Pope, Carla Speed McNeil, Farel Dalrymple, and more. Ohio State’s iteration of this traveling exhibit, curated by Josh O’Neill, Andrew Carl and Chris Stevens, will also include McCay originals from The Billy Ireland Cartoon Library & Museum collection. Winsor McCay (1867 – 1934) was one of the most significant American artists of the 20th century, known best for his groundbreaking newspaper comics and early animated films. Much of his most beloved work appeared in Little Nemo in Slumberland, a full-page comic that ran every Sunday from 1905 to 1926. It was on these pages that McCay expanded the world of visual narrative: his stunning sequences, expressed through vivid illustrations and inventive panel compositions, became a cornerstone of modern comics.